After conducting a needs assessment in 2015, the Shanti Project moved to expand its care navigation services to include individuals mono-infected with HCV. At the time the needs assessment was conducted, I was an HIV Care Navigator at Shanti. Transitioning to become the new program’s HCV Navigator marked a departure from my work with a defined panel of clients using an established framework for service provision. How to move from the recommendations in the assessment to a vision and plan to support clients was the challenge. Ideas about how best to serve folks emerged from my participation in the End Hep C SF’s Testing and Linkage. Leading up to End Hep C SF’s launch, members of the Testing and Linkage workgroup were building an interagency response to support the needs of communities disproportionately impacted by HCV. Particularly during the first six months of the workgroup, I was inspired by these connections and the resulting synergy; this momentum and actionable objectives of my collaborators significantly contributed to the direction of Shanti’s HCV linkage services. Like many of the community partners participating in End Hep C SF, Shanti’s services are client-centered and utilize principles of harm reduction. In the beginning, our adaptive model, capacity and the mobility of Shanti’s HCV navigation (namely, my bicycle) led to linkage partnerships with Jail Health Services, the UCSF HERO study and several clinics. Shanti’s collaboration with the HERO study is one example among many collaborations that resulted from dialogue in the End Hep C workgroups; where one organization’s need for service is simply met by another that has the capacity. During a monthly meeting of the Hepatitis C Community Provider Group, I learned that the HERO study, a randomized controlled trial funded by the Patient-Centered Outcomes Research Institute (PCORI), was seeking care navigators to link with participants at three clinics. The aim of HERO is to provide HCV treatment so that a comparison of outcomes between the study’s two arms can lead to recommendations to further improve treatment. One arm is comprised of participants who receive treatment through a modified directly observed therapy, and the other of participants provided with medication and linked with a patient navigator. To this point, I’ve worked with more than two dozen participants at two of three clinic sites, while Pauli Gray from the San Francisco AIDS Foundation’s Syringe Access Services provides navigation at the third. For me, patient navigation within the study looks much the same as it does for other navigation clients with whom I work outside the study. I believe that flexibility and responsiveness to where a client is at is the heart of navigation, and that establishing treatment readiness, adherence support, and education to prevent reinfection are the backbone. 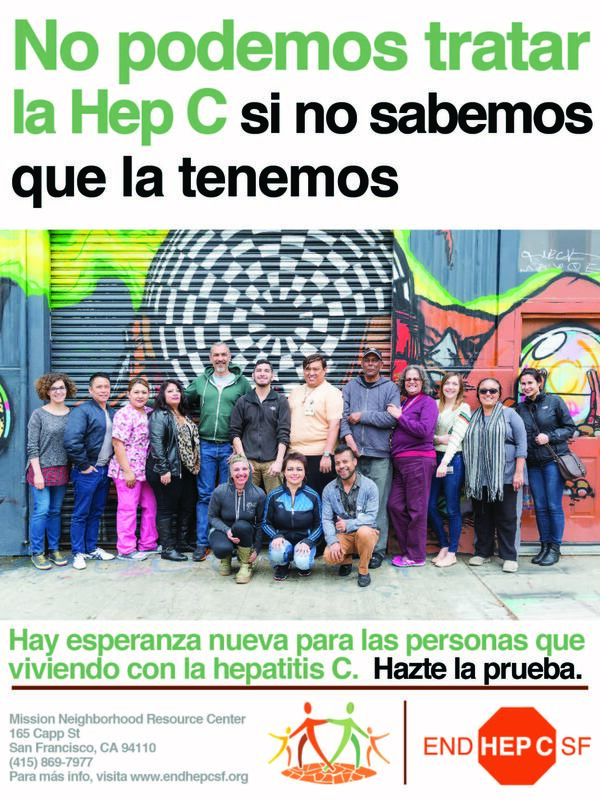 The takeaway from my experience within the End Hep C SF initiative has been that the community’s resolve to eliminate HCV through increasing education, building relationships, and improving access to HCV treatment in San Francisco will, and already is, making a critical impact.